Craft breweries across the country are growing by leaps and bounds. In fact, while Big Beer continues to see a shrinking market share year over year, craft beer continues to grow. It’s only natural that in order to cash in on this trend, big breweries are doing whatever they can. These efforts range from the creation of “craft-like” brands, such as Shock Top and Blue Moon, to the acquisition of actual craft breweries. Buying up craft brands has become incredibly popular, actually and with no Big Beer company more than Budweiser. 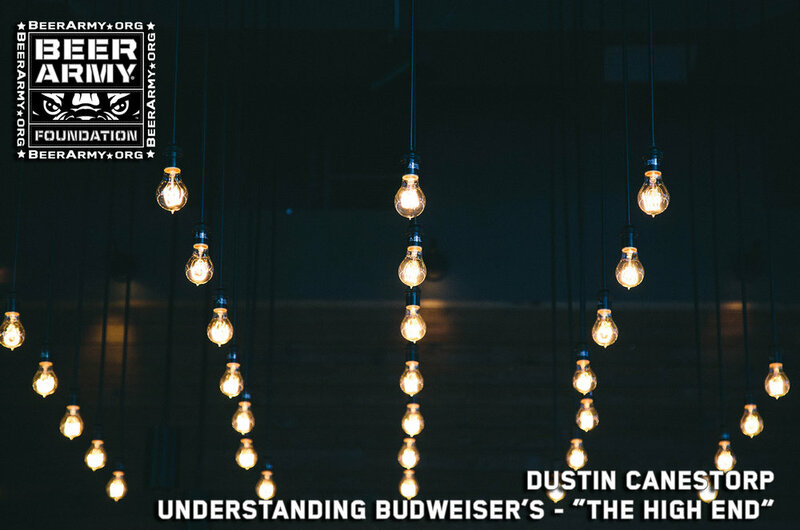 Budweiser has been snapping up craft breweries across the country for a number of years, and wedging them into its portfolio within a niche called, the “High End”. So, what is this portfolio and what’s it supposed to do for Bud? Note that this is actually only a very small fraction of the craft breweries that have been purchased by other big breweries. Those range from Terrapin to Lagunitas to Ballast Point and everything in between. While many drinkers might be torn over the issue, quite a few craft brewers feel that once a brewery has been purchased outright by a member of the Big Beer cartel, they cannot and should not be considered “craft” beer in any way, shape or form. Of course, the breweries that have been purchased feel otherwise. They say that they’re still small, still mostly independent and still in charge of what they do and how they do it. However, it’s also true that every dollar they earn ultimately goes to support the growth and expansion of Big Beer. Companies like AB InBev (Budweiser) have realized that consumers like craft beer’s independence and commitment to innovation. To tap into that, they have done everything in their power to prevent buyers from being easily able to tell whether a brand is owned by Big Beer, or whether it was a craft brewery. Shortly after the 2017 purchase of Wicked Weed, the Brewers’ Association introduced the independent craft seal. Any qualifying craft brewery could use the seal at no cost to themselves on their packaging, including labels, six pack art, 12-pack art and more. The seal is supposed to bring clarity to the market, allowing consumers to purchase products more confidently. Of course, that couldn’t be allowed to “slide”. Six of the 10 breweries that make up the High End portfolio released statements pertaining directly to the independent seal, which ranged from mildly irritated to downright angry, even going so far as to claim that if craft breweries were truly independent, they wouldn’t use the indie brewed logo at all. That it wasn’t “punk” to do so. Only a few weeks after the launch of the indie brewed label and the salty repartee between the “craft” brands owned by AB InBev and those still dedicated to being independent, something interesting happened within the High End portfolio. There was a massive restructuring. Ultimately, almost all of the existing employees (380 people, in total) working within the High End were let go by AB InBev with little or no warning. It was a massive downsizing, but why did it occur? According to sources ranging from Forbes to Beer Street Journal, it really came down to redundancy. With the purchase of each craft brewery AB made, they also gained sales staff (on the brewery side of the equation). This had the effect of making the High End’s existing sales staff more than a little redundant, which ultimately meant that AB InBev was paying two or even three times for the same work without any real need to do so. The downsizing was more to do with eliminating needless costs and streamlining operations than it was about anything else. Note that none of the employees working for the purchased craft breweries were let go. The downsizing involved only existing in-house staff within the High End. What will the ultimate outcome be for the High End brands? What about “craft-like” brands such as Blue Moon? Will consumers realize that those names don’t necessarily embody the innovation and drive that has led to the massive, sustained growth of the American craft beer scene? Maybe, and maybe not. Ultimately, for many people, the question isn’t so much about whether to support a craft brewery rather than a member of Big Beer, but what tastes best to them. They might buy a six-pack of Bud Lite for tailgating in the summer heat, but then invest in a couple of Goose Island’s Bourbon County beers to enjoy in the depths of winter. In between, they might pay a visit or two to their local craft brewery’s taproom to support them directly. When it’s all said and done, the world of beer is big enough for both craft and Big Beer companies. Ultimately, it’s about drinking what you like and liking what you drink. What are your thoughts on the subject? Let’s keep it civil, but chime in down below.